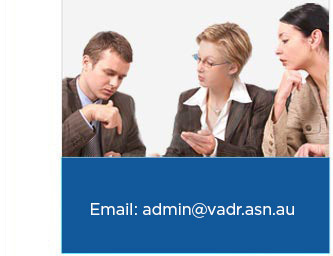 The VADR Members Area provides access to members only news and publications. To access the members only area, you must the username and password that you chose when you signed up for the members area. If you do not know what your username and password are, or if you don't have a username and password, please contact us. You will be able to access the members area while your membership to VADR Inc is current and paid up to date although we may issue you with a new password from time to time.